Keynes's proposal in 1944 at the Bretton Woods Conference to found the new international monetary system on a world currency (the "bancor") was rejected and the dollar ? convertible into gold ? was put at the center of the system. In 1968 the IMF created its own "unit of account" ? the SDR ? based on a basket of national currencies and, in 1971, president Nixon announced the end of dollar convertibility to gold. In 2008 the financial crisis erupted and in 2016 the renminbi was included in the SDR basket: a new international multi-currency reserve system is emerging. 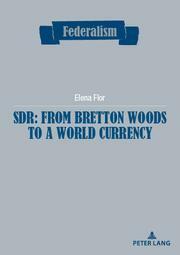 This work offers a synthetic but comprehensive view of the international monetary system's evolution from an original perspective: the process for reinforcing and stabilizing it through the gradual introduction of a world currency (notably, the SDR).